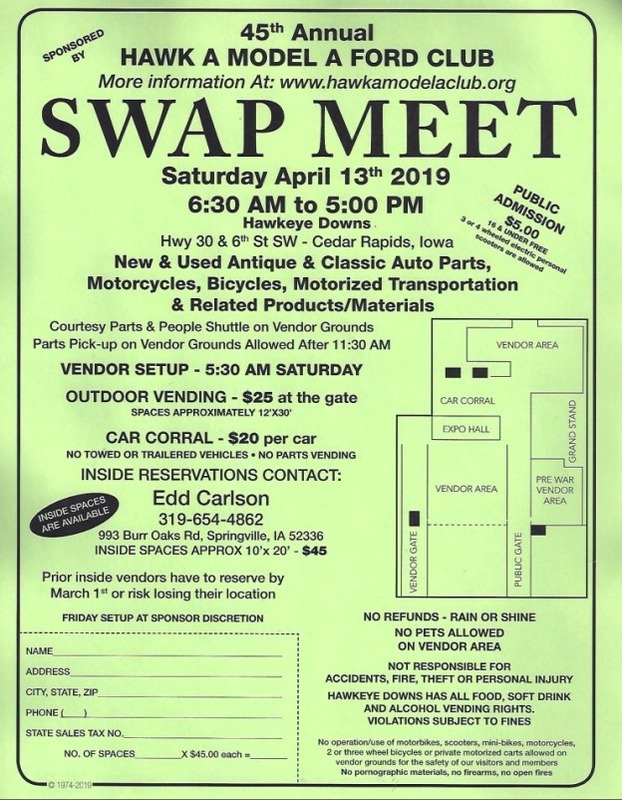 April 13 Annual Swap Meet at Hawkeye Downs in Cedar Rapids, 6:30AM to 5:00PM. See Ad below. April 23 Monthly meeting, 7 PM, at Hiawatha Community Center. Read on-line or download former Hawk-A club member's insight into maintaining and restoring a Model A. To follow the Hawk A Model A Ford Club on Facebook, click here. This is the official poster for this year's swap meet. Click on image to obtain printable page. 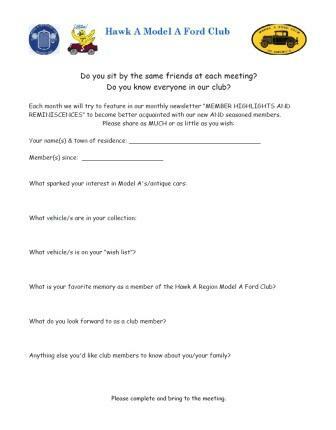 Member at a Club meeting. Click anywhere on the above form to print.